Murano is where they make beautiful glass. 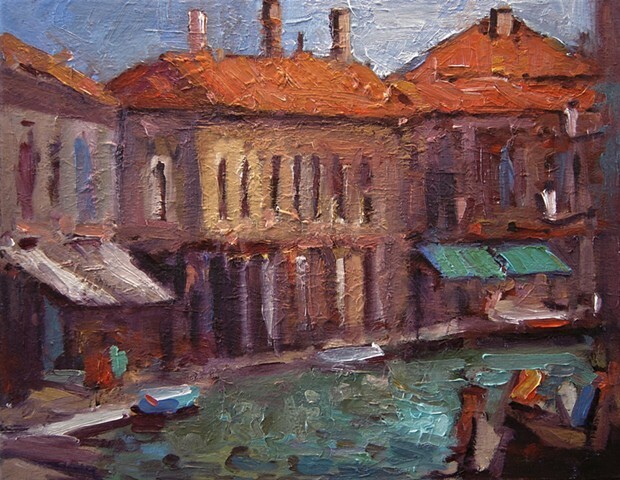 Murano was initially settled by the Romans and from the sixth century by people from Altinum and Oderzo. At first, the island prospered as a fishing port and through its production of salt. It was also a centre for trade through the port it controlled on Sant'Erasmo. From the eleventh century, it began to decline as islanders moved to Dorsoduro. It had a Grand Council, like that of Venice, but from the thirteenth century, Murano was ultimately governed by a podestà from Venice. Unlike the other islands in the Lagoon, Murano minted its own coins.